At CALM Worldwide, our targeted and individualized Emotional Intelligence & Positive Psychology programs emphasize practical benefits and empower participants with tools to continue practicing, learning and reinforcing new skills. The science of positive psychology contributes new insights and proven strategies to increase wellbeing in individuals, workplaces and communities. Our programs are based on Dr. Martin E.P. Seligman program in ‘Positive Psychology’. He is renowned worldwide as the “father of Positive Psychology” and has led visionary leaps in the scientific research, empirical data and personal understandings of human flourishing. 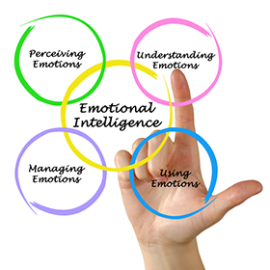 Emotional intelligence may be the most important quality we can learn and practice to continue our growth and capacity to positively impact others. Today it is just not enough to be highly trained in technical skills, without developing the interpersonal and relationship-building skills that help people to communicate and collaborate effectively. These people skills are more critical than ever as organizations struggle to find meaningful ways to remain competitive and be productive.